Dr. Heber C Crockett, MD is a Doctor primarily located in Plainville, KS, with another office in Kearney, NE. He has 26 years of experience. His specialties include Orthopaedic Surgery and Sports Medicine. He speaks English. Dr. Crockett has received 1 award. 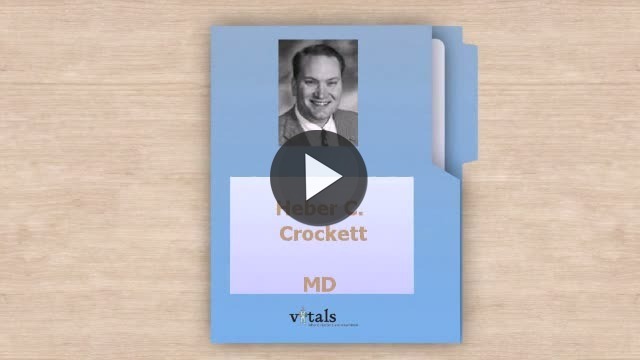 The overall average patient rating of Dr. Heber C Crockett is Great. Dr. Heber C Crockett has been rated by 26 patients. From those 26 patients 8 of those left a comment along with their rating. The overall rating for Dr. Heber C Crockett is 4.2 of 5.0 stars. I believe he's very talented and a precise surgeon and thoroughly evaluates everything before preceding with surgery. Wonderful, caring physician who is direct and kind. Solved my daughters problem after many orthopedic surgeons had seen and misdiagnosed. Fantastic shoulder surgeon. Take a minute to learn about Dr. Heber C Crockett, MD - Sports Medicine in Plainville, KS, in this video.